Where do you begin on the journey to to include persons with disabilities in faith communities? The answer will depend on your roles and your relationships. Self. 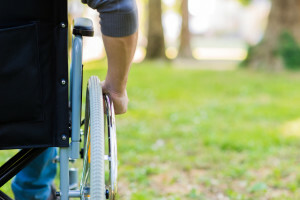 There is a growing movement for persons with disabilities advocating for themselves. Visit the Self Advocate page. See the Networking section to find others to stand with you. Families. Often family members of persons with disabilities also need information, encouragement, and support. Visit the Families page. Faith Communities. If you are already a member of a local faith community, you can give leadership to help your congregation become accessible and inclusive. Every congregation will approach this journey differently based on its own unique size, setting, history, tradition, and circumstances. CAN is here to give counsel, support, encouragement, and tools. Friends. Friends build relationships with others and work to connect them with other friends. Friends also help connect persons to faith communities where together they can experience the presence of God. Friends can become advocates. Often, it takes just one person to begin a movement for change. See the Advocates page for more information. Raise awareness. Whatever your role, you can work to raise awareness among your family, friends, faith community, and the larger community about the challenges and the gifts of persons with disabilities. Read our thoughts on Accessibility and Inclusion. Find some creative activity that will raise the awareness of your congregation and community. Send us ideas that you would like to share. Make plans. CAN’s Congregational Study Process gives you a structure to adapt for your congregation to engage the whole congregation in becoming more accessible and inclusive. Take the Congregational Assessment Survey. Discover what categories of accessibility are covered by the Survey. The Quick Checklist will give you an idea of what the Survey is like. Then go to the Survey section for complete information. Discover how well people feel included in your congregation. Download, adapt, and use the Individual and Family Needs Questionnaire.